The AC3010 is a single active output amplifier with 48 dB maximum gain. The amplifier stages are based on extreme high performance GaN solution that makes the usable gain range especially wide and allows high output level. Integrated interstage gain and slope controls optimise the flatness performance. The AC3210 is a dual active output amplifier with 48 dB maximum gain. The amplifier stages are based on extreme high performance GaN solution that makes the usable gain range especially wide and allows high output level. Integrated interstage gain and slope controls optimise the flatness performance. 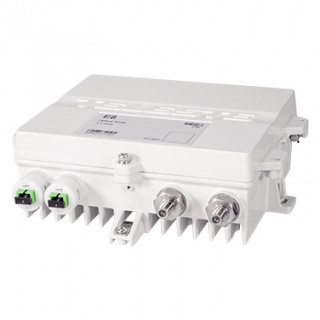 The AC8710 is an intelligent dual active output node for deep fibre solutions. It is based on fixed receiver but modular return path transmitter. Output amplifier stages use high performance GaN hybrids, which makes the usable output level range especially wide. 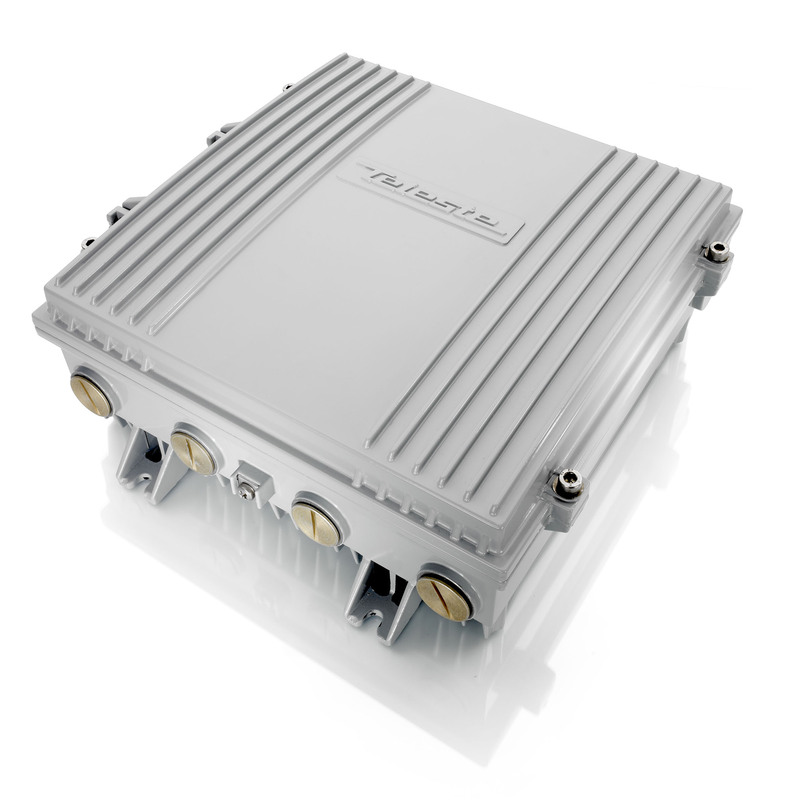 The AC9100 is an intelligent 4 output optical node of ACx product family. It is based on fixed platform but flexible modular solution, supporting up to four optical transmitters and dual power supplies. The two fixed optical receivers can act as 2 independent nodes or in 1+1 backup operation. ACE3 is the most advanced compact amplifier on the market. 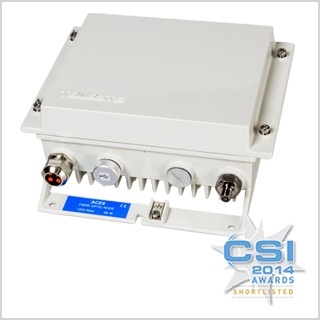 It has 1.2 GHz frequency range and integrated electrical controls in both up- and downstream. ACE3 has automatic alignment feature, which takes care of optimized SNR performance of both signal directions. ALSC circuits are built-in and they can be activated easily by adding a transponder unit. ACE8 is a single active output intelligent node. The node is based on a fixed receiver but modular upstream transmitter. The output amplifier stage uses high performance GaN hybrid, making the usable output level range especially wide. 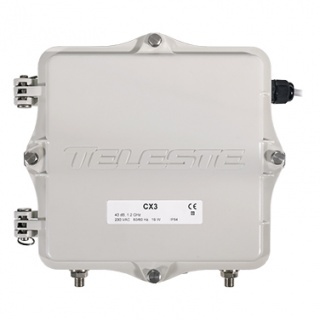 Teleste CX3 is the latest addition in our extensive range of DOCSIS® 3.1 capable small amplifiers. Designed quality and robustness in mind, the CX3 amplifier is not only providing reliable performance, but also ensuring great usability. 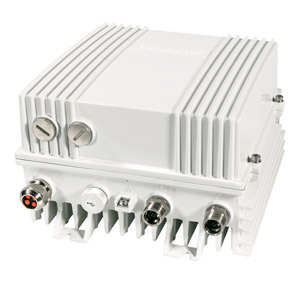 All this comes in a compact format, making it a great all-around amplifier for modern bidirectional networks where cost efficiency and easy installation are prime concerns. E3 is a compact dual output amplifier with wide 16…42 dB gain adjustment range making it suitable for both distribution purposes and line extender use. 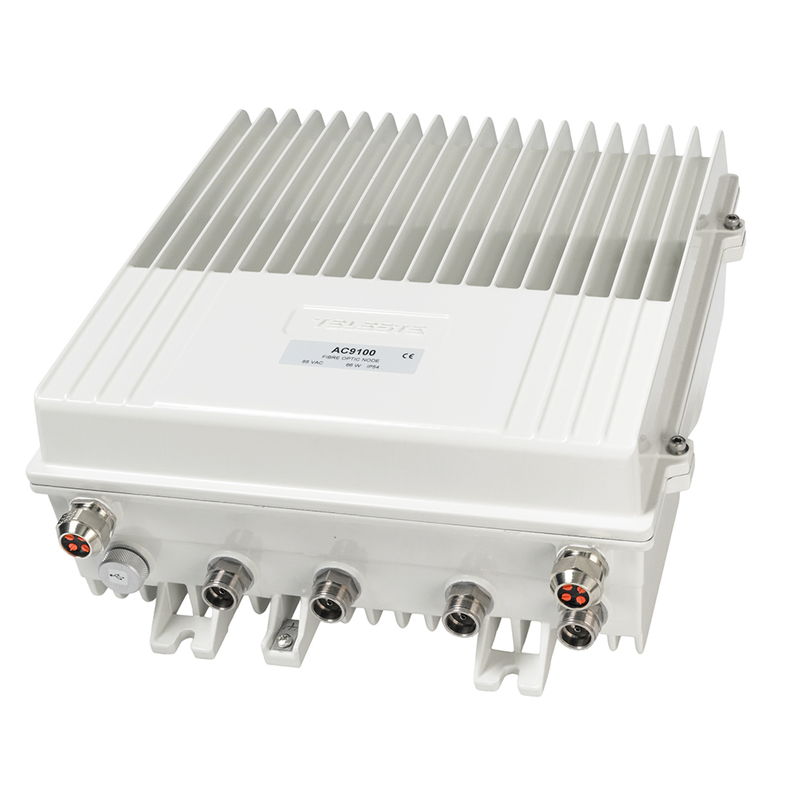 The E3 amplifier supports 1.2 GHz frequency range which ensures fulfilment of all future bandwidth needs. 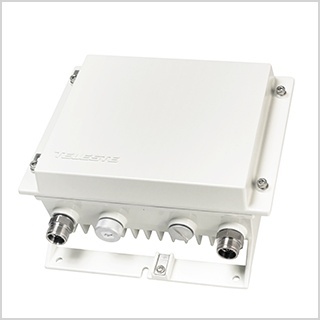 The upstream signal path is flexible and it can be updated to 204 MHz. The E8 is a compact optical node with one active output. 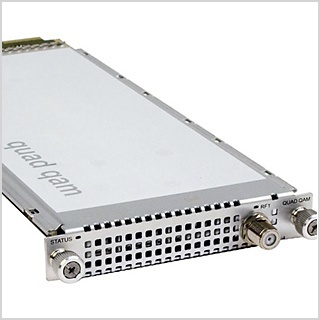 Based on the latest GaN amplifier technology, the E8 offers high output level (CTB/CSO 117/118 dBµV) and supports 1.2 GHz/204 MHz bandwidth. 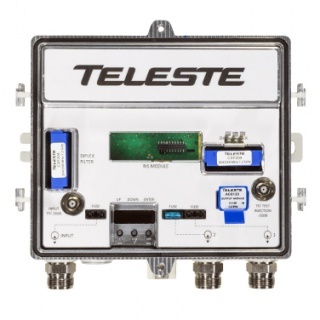 Teleste Luminato digital headend platform is designed for live content processing. The content can be received from various sources and then descrambled and re-organised into network for either CATV, OTT and/or IPTV delivery. Cable TV operators and Telco’s of varying sizes and feature demands appreciate Luminato's unparallelled reliability and ease of use. The Luminato dense modulator enables flexible multiplexing of SPTS and MPTS video services and PSI/SI table streams. High quality QAM modulation with agile up conversion provides smooth broadcast delivery over HFC network and ensures availability of highperforming video services for years to come.